Body Volt’s Complete Multivitamin contains a comprehensive spectrum of Vitamins & Minerals to fulfil your nutritional needs & help you to perform at your best. L-Arginine is a conditionally essential amino acid found in the diet. 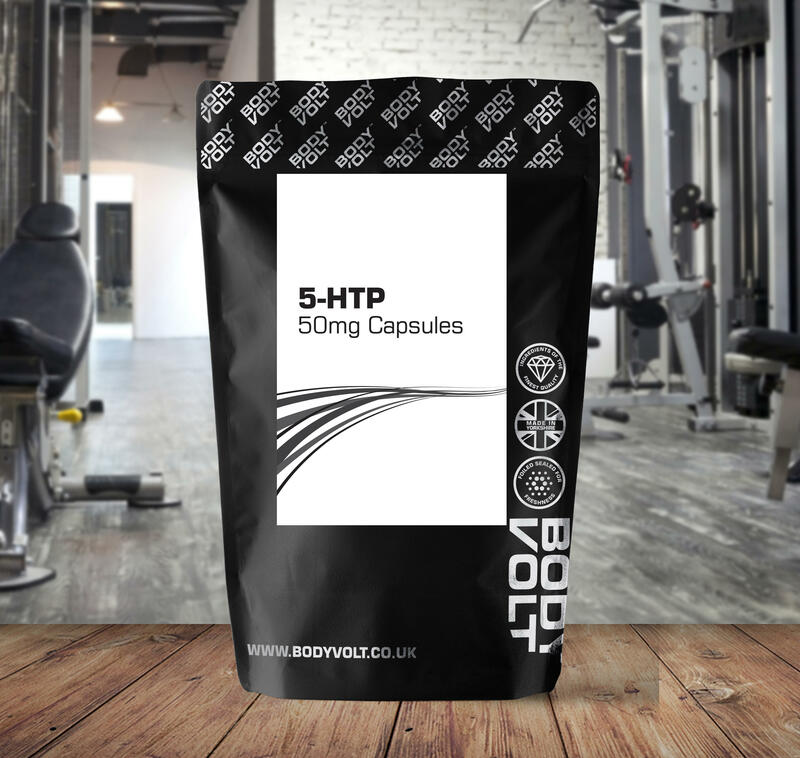 It is a dietary supplement used mostly by athletic people because it is the amino acid that directly produces Nitric Oxide via the nitric oxide synthase enzymes. L-Tyrosine is a non essential amino acid used by cells to synthesize proteins. 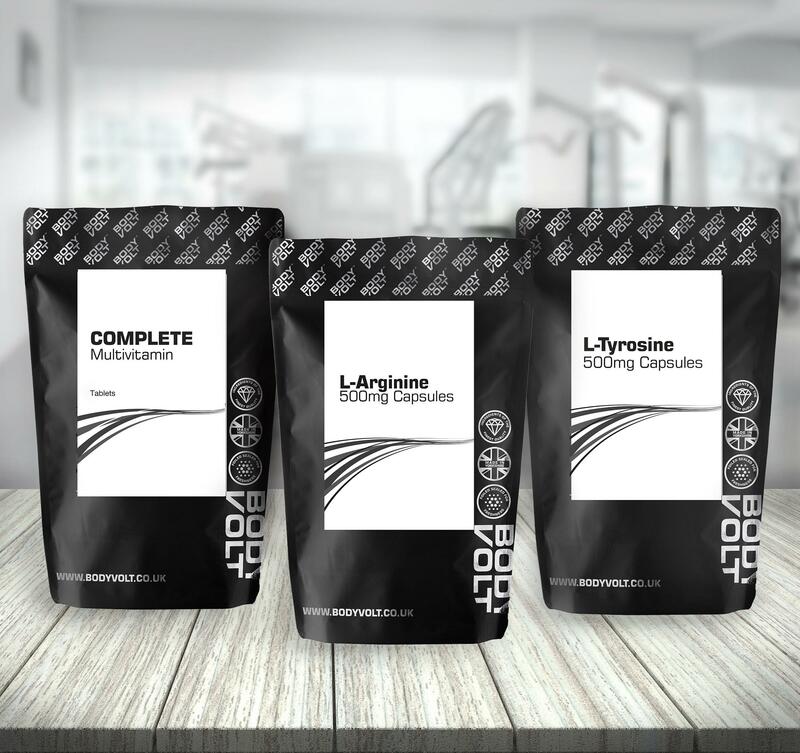 L-Tyrosine tends to be taken in doses of 500-2000mg approximately 30-60 minutes before exercise. Adults: Swallow one capsule/tablet daily, with food. Do not exceed the stated daily intake. Complete Multivitamin - Dicalcium Phosphate Dihydrate, Magnesium Oxide, Microcrystalline Cellulose, Ascorbic Acid, Acacia Gum, Ferrous Fumarate, Hydroxy Propyl Methyl Cellulose, Maltodextrin, DL-Alpha-Tocopheryl Acetate, Nicotinamide, Modified Maize Starch, Cross-Linked Sodium Carboxy Methyl Cellulose, Magnesium Stearate, Colours (Titanium Dioxide, Iron Oxides), Calcium Pantothenate, Anti-caking Agent (Silicon Dioxide), Talc, Zinc Oxide, Manganese Sulphate Monohydrate, Humectant (Glycerol), Copper Sulphate Pentahydrate, Sucrose, Maize Starch, Pyridoxine Hydrochloride, Thiamine Hydrochloride, Riboflavin, Retinyl Acetate, Folic Acid, Potassium Iodide, DL-Alpha-Tocopherol, Silicon Dioxide, Chromium Chloride Hexahydrate, Phytomenadione, Sodium Selenite, Sodium Molybdate Dihydrate, Cholecalciferol, Cyanocobalamin. L-Arginine - L-Arginine, Magnesium Stearate, Silicon Dioxide, Gelatin (Bovine), Water. L-Tyrosine - L-Tyrosine, Magnesium Stearate, Silicon Dioxide, Gelatin (Bovine), Water.